It’s been several years since I last added any new t-shirt designs to the site (you can check out the offerings to the below right). The other day, I was doodling during a meeting at the office, as I am want to do, and sketched a Belgian beer glass in a circle and realized that I hadn’t seen any t-shirts like that around. 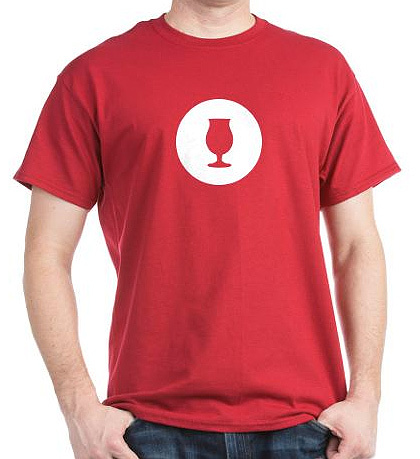 So, I decided to come up with a fun series of shirts that showcased some of the more recognizable beer glass shapes. There’s no need for slogans or text or silly fonts  just your favorite beer glass in a somewhat super hero-esque design. 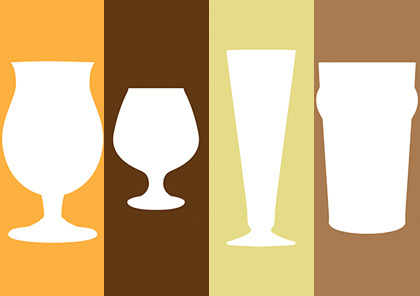 I’ve got a couple of other glasses in mind (English pint as an example) for future iterations, but if you all have any requests or suggestions, feel free to send them on over in the comments below. Share "NEW! Beer Glass T-shirts"